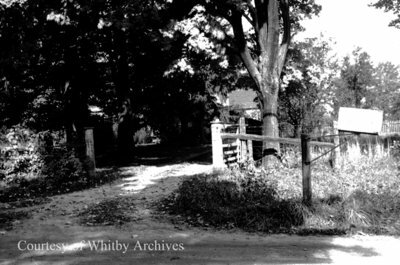 A black and white negative of the driveway leading into the Crawforth farm. Crawforth Farm, October 12, 1938, Marjorie Ruddy. Whitby Archives A2013_040_747A.